Moments of unforgettable beauty, extravagance, elegance and sophistication arrives from the HOUSE of CHANEL each and every season. However, online traders in knockoff Chanel are unsurprisingly often aware of the luxuries enjoyed by those of highly discriminating taste. Online replica stores often do not value the beauty and quality of a genuine CHANEL masterpiece. Many replica online stores, as with the previous Replica031, offer low quality copies without authorization, parading fake goods as the same as the original, and consequently leaving some shoppers with the impression that they would be getting a a good deal. The best way to protect yourself from being sold a low quality knockoff is to only shop at authorized retailers selling genuine CHANEL products. 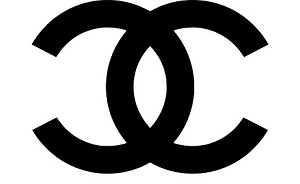 For a list of authorized retailers and to see the latest Chanel styles, please visit CHANEL.com. To find out more about Chanel replicas and about the dangers posed by replicas visit ChanelReplica.com and ReplicaChanel.com.